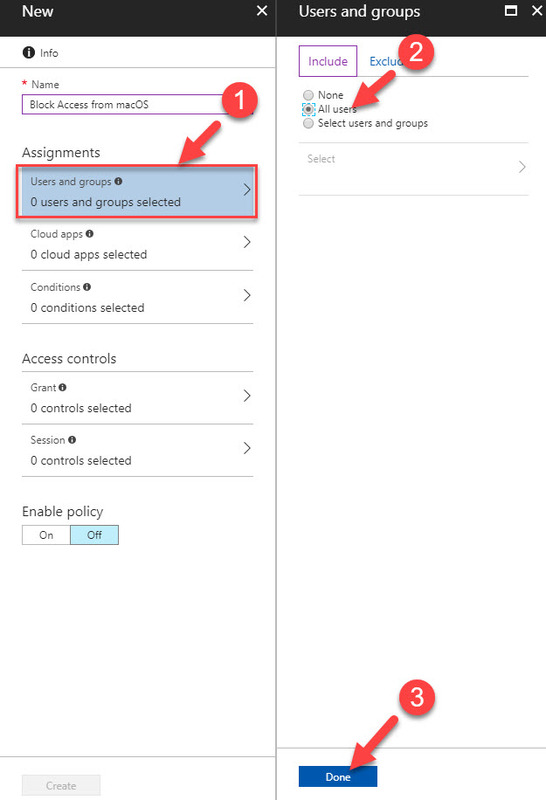 Azure AD conditional access policies allows to provide conditional based access to cloud workloads. 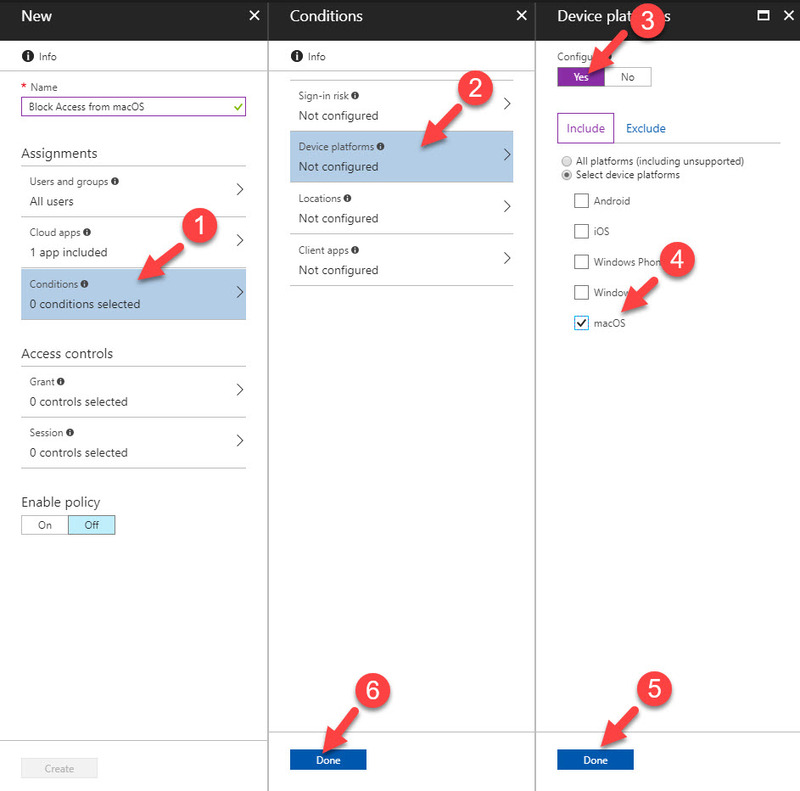 In one of my previous blog post I explain it in detail what is conditional access policy and how we can configure it. you can find it on http://www.rebeladmin.com/2017/07/conditional-access-policies-azure-active-directory/ . I highly recommend to read it before we continue on this post. In Condition Access Policy, there are two main section. Assignments – This is where we can define conditions applying to user environment such as users and groups, applications, device platform, login locations etc. Access Control – This is to control access for the users and groups when they comply with the conditions specified in the “assignments” section. it can be either allow access or deny access. Under Assignment section we can define device platforms involves in the condition. Before when I wrote my previous post it was only supporting for following platforms. 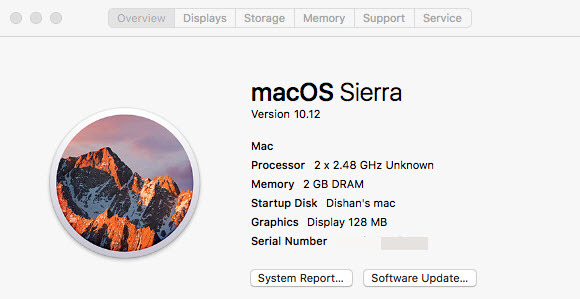 I have a mac with sierra running. 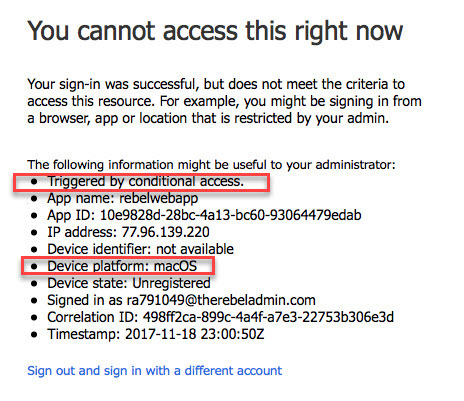 In this demo, I am going to setup a conditional access policy to block access to webapp if the request coming from a mac environment. 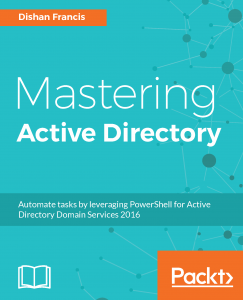 2) Click on Azure Active Directory from left menu. 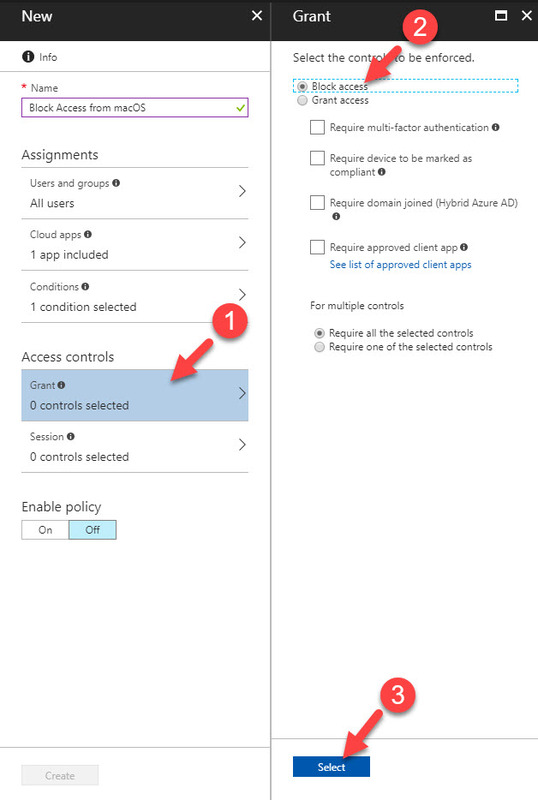 3) Then in Azure Active Directory panel, click on Conditional Access under security section. 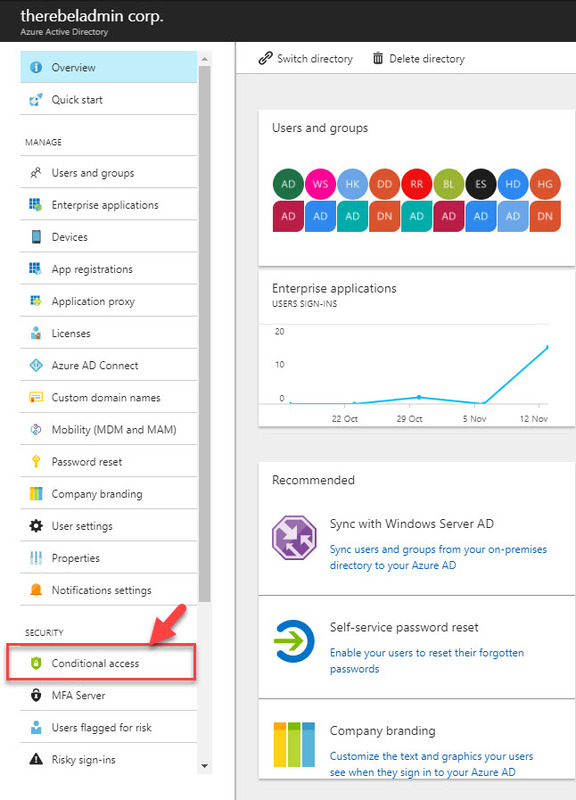 4) It will load up the conditional access window. Click on + New Policy to create new policy. 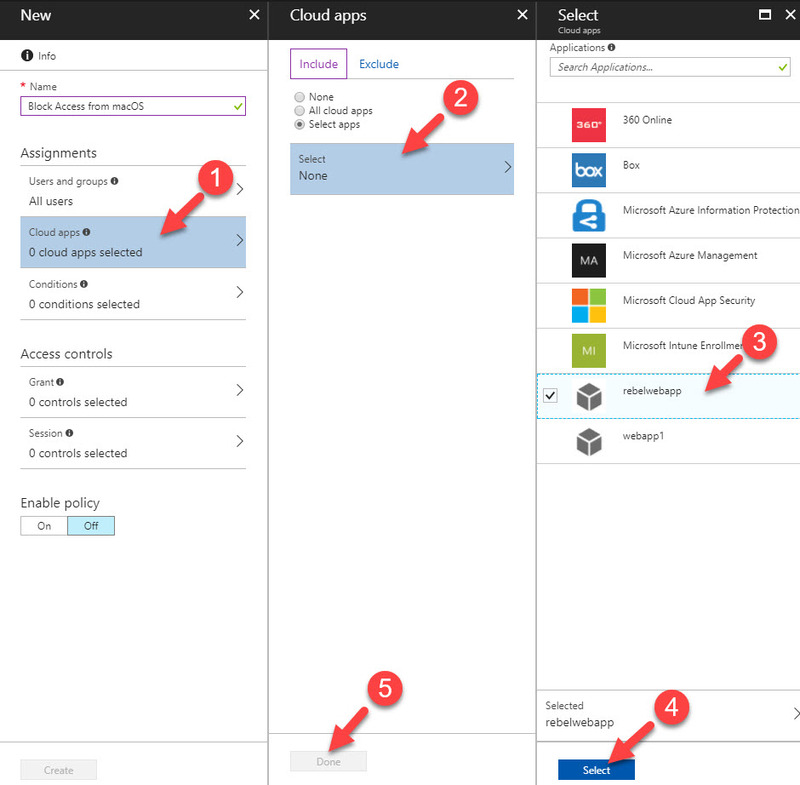 7) Then Click on Clouds Apps to select application for the policy. in my policy, I am going to target rebelwebapp. Once selection is done click on Select and the Done to complete the process. 8) Next step is to define the conditions. In order to do that click on Conditions option. In here I am only worrying about device platforms. To select platforms, click on option Device Platforms. Then to enable the condition click on Yes under configure and then under include tab select macOS. After that click on Done in both windows to complete the process. 9) Next step to define access control rules. To do that click on Grant under access controls section. in my demo, I am going to block access to app. So, I am selecting block access option. Once selection is done click on select to complete the action. 10) Now policy is ready. To enable it click On tab under Enable Policy option. 11) Then to create the policy, click on Create button. 12) Now policy is ready and next step is to test it. in order to do that I am using webapp url via mac. As soon as I access url, it asks for login. 13) As soon as I type user name and password, I get following response saying it is not allowed. 14) If we click on More Details it gives more info about error. 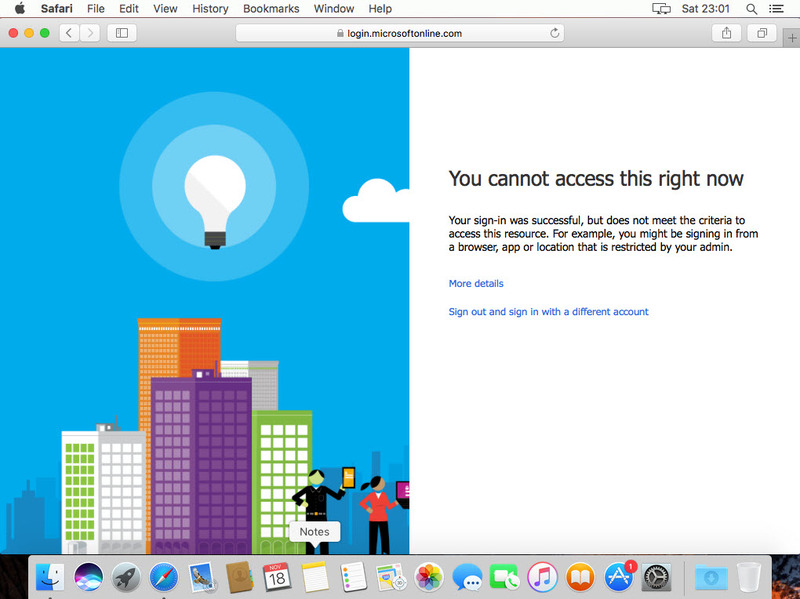 As expected it was due to the conditional access policy we set up. Nice ha!! 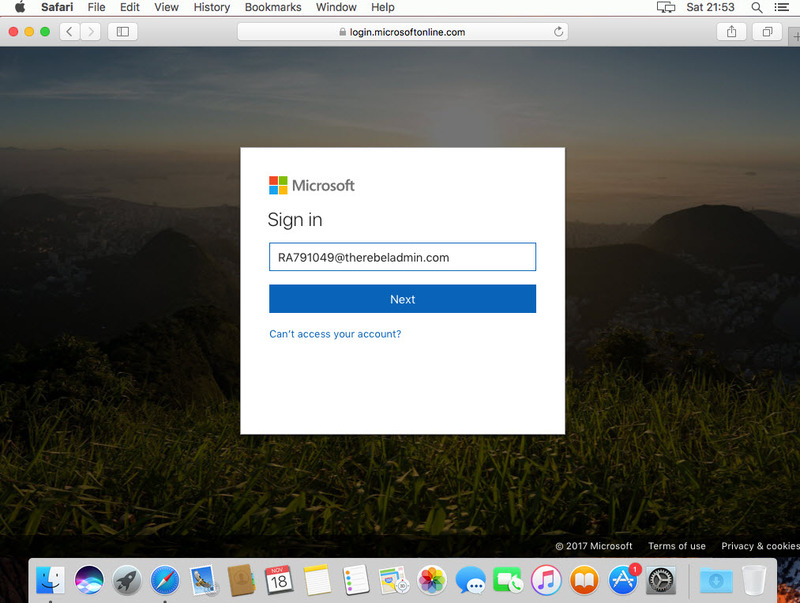 So as expected, conditional access with macOS working fine. This is another good step forward. Well done Microsoft! This marks the end of this blog post. If you have any questions feel free to contact me on rebeladm@live.com also follow me on twitter @rebeladm to get updates about new blog posts.